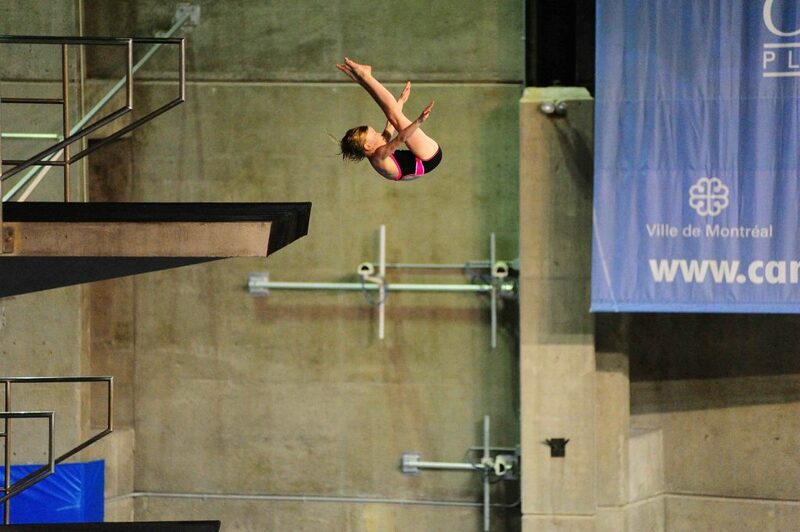 Last weekend the Ottawa National Diving Club attended the first Quebec Provincials held in Gatineau. All teams were in full force Thursday afternoon practicing when we were evacuated due to the maintenance staff finding traces of asbestos in the pipes of the building. This did not stop the host club or any club for that matter to rally together to make the event a success. Friday was moved to the Nepean Sportsplex and Saturday/Sunday events were moved to Montreal to finish up the competition. We would like to thank Club de Plongeon Gatineau and everyone who helped make this event happen as it was no easy task. Despite diving in 3 different pools in 3 days, the Ottawa National Diving Club still worked very hard to accomplish the goals each athlete set out for themselves. The main goal of the competition was to achieve their national standards and see how our team competes against the divers from Quebec. 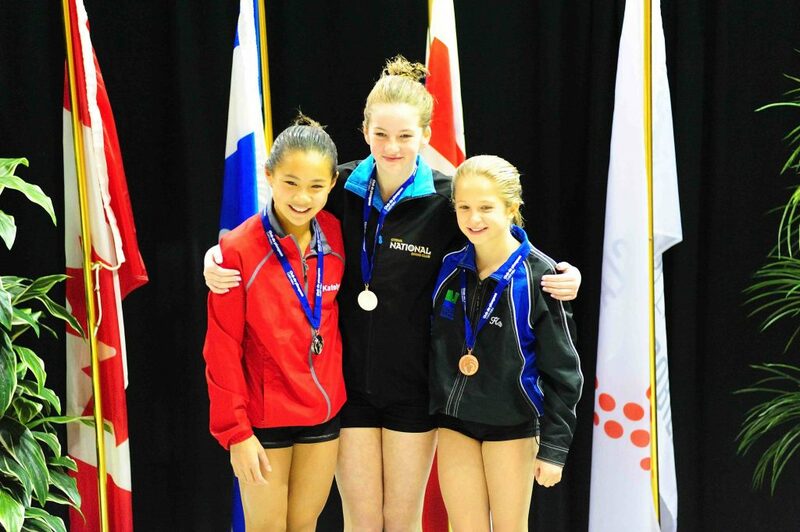 Kathryn Grant’s podium finishes on all 3 age group events including her Gold Medal on 1m. As well as her first competition in the open tower category, finishing 4th behind only girls 16 and 17 years old and 15 points from a senior national score. Emma Corrigan, making a huge recovery from a pulled ligament in her knee and walking on crutches to battling for her national standard on 10m in under one week’s time. Emma achieved all her standards as well as a 5th place finish in the open tower and a personal best in open 1m. Way to come back strong Emma! Our younger divers Catherine Boyer and Audree Howes both finished their weekend earning two out of 3 national scores each! Audree is now fully qualified for nationals on 3m for her first time ever! Congratulations! Talia Wootton showed great skill in her very competitive age group despite only entering the diving world at the beginning of last season. She is still just shy of her national standards but showed that she can battle with the best of Canada on all events. 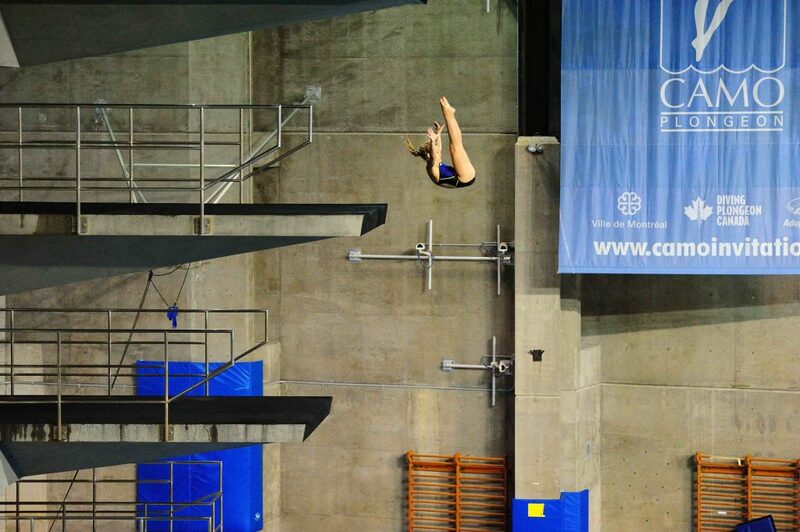 Sofia Perrey is new to Canadian diving competitions as she is from Mexico. She dove amazingly over the weekend in the national level on 1m just missing her national standard and in the “transition” category on 3m and tower. She finished her weekend with a stellar performance on tower, beating the national standard score by over 50 points and winning her first Canadian gold medal! Congratulations Sofia! Catherin Boyer – earned national scores on 2 of 3 boards. 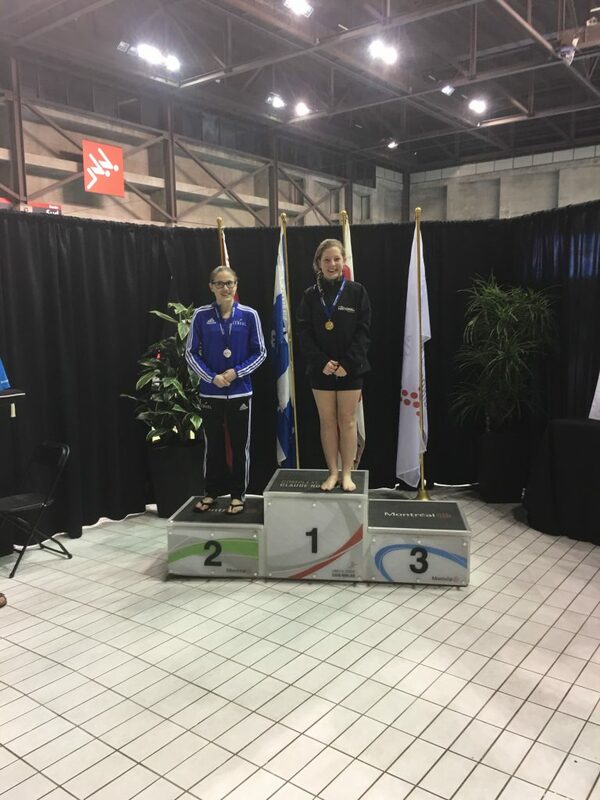 Sofia Perrey – our new diver from Mexico beat the national score by over 50 points on tower and won her first Canadian Gold Medal.